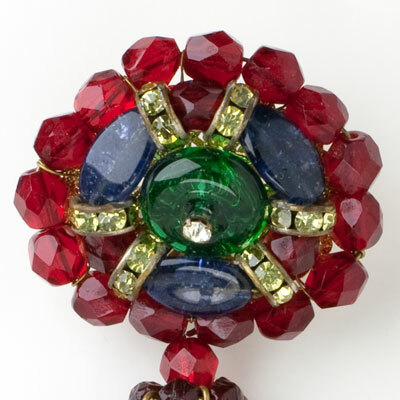 This selection of Hattie Carnegie jewelry from the 1950s features bold and colorful necklaces, bracelets, brooches, earrings, and sets. 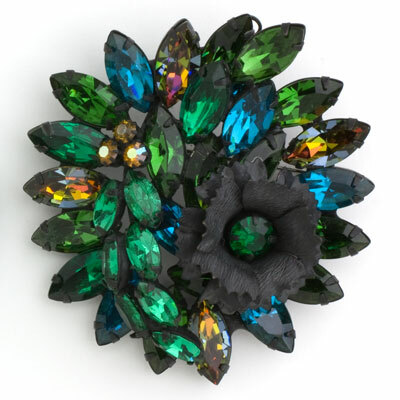 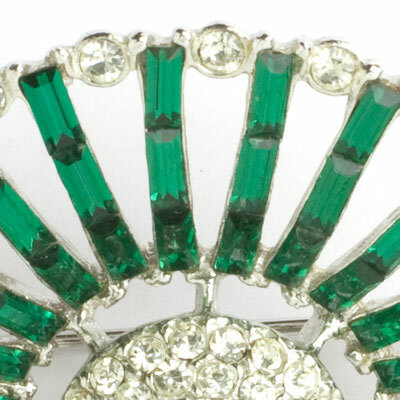 Instead of producing fabulous fakes – imitations of fine jewelry – which were popular in the 1950s, Carnegie’s designs and materials were innovative and distinctive. 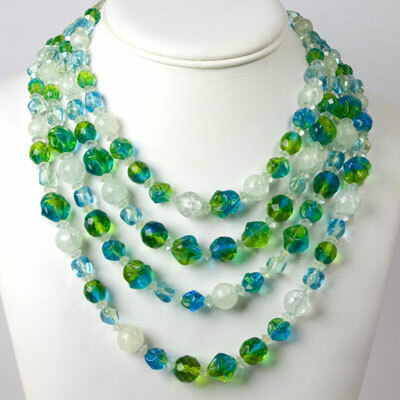 Her beads are exceptional. 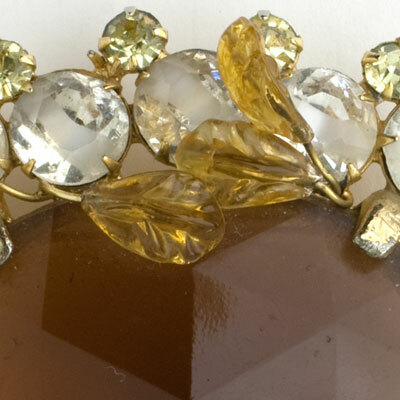 Some pieces were designed in-house under her direction. 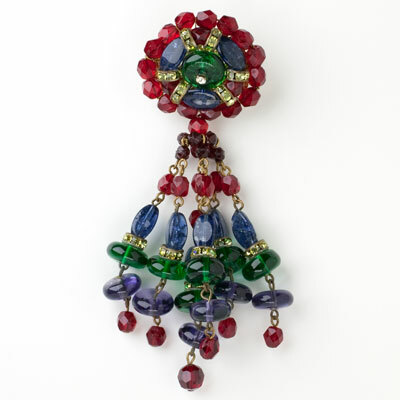 Others were commissioned by notable designers such as Kenneth Jay Lane and Clare McCardell. 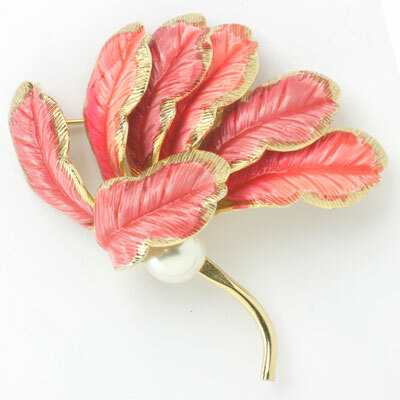 Originally a milliner and then fashion designer, Carnegie opened her first shop in New York City in 1909. 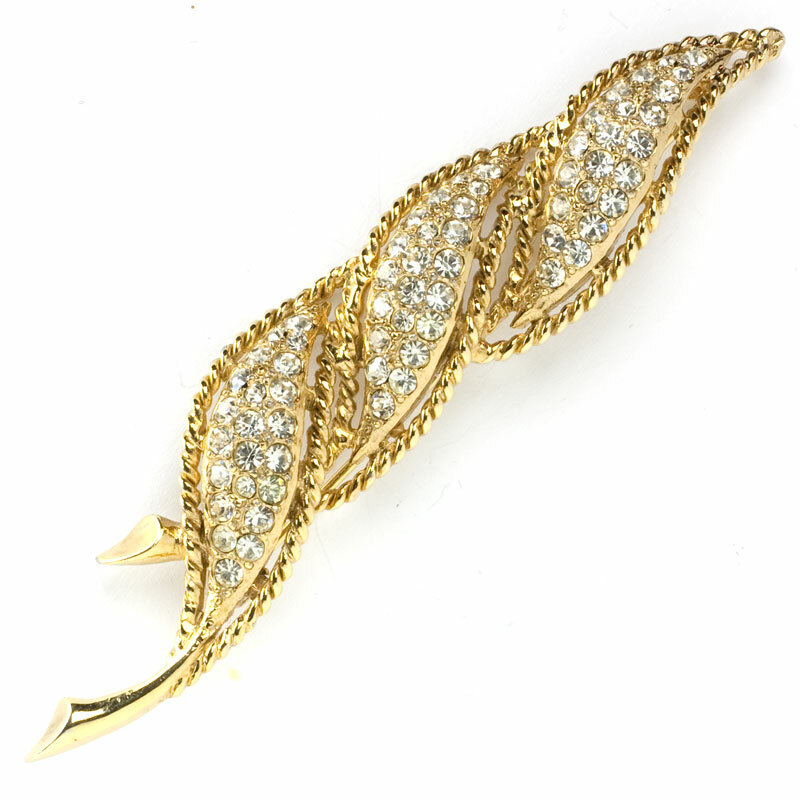 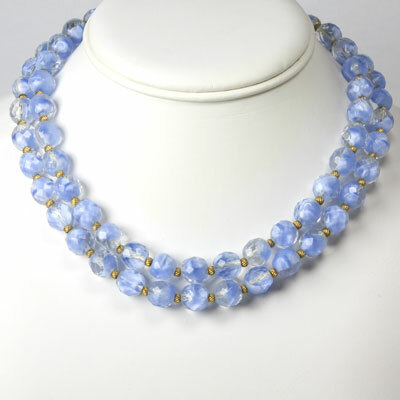 The company started marketing costume jewelry to accessorize her fashions in 1939. 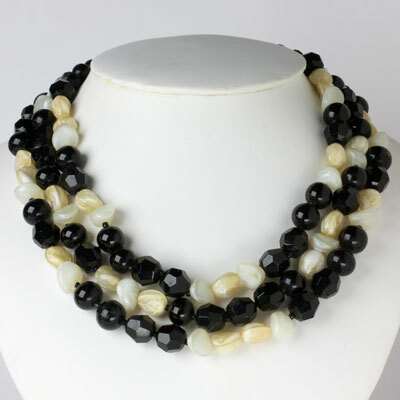 Read more about Hattie Carnegie. 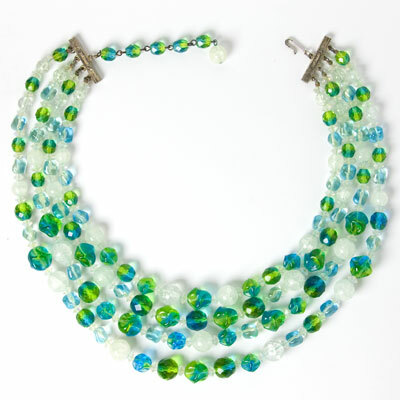 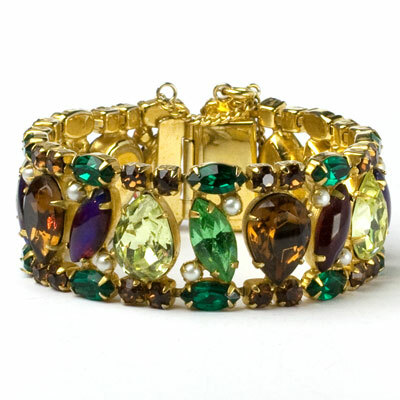 This crystal bead bracelet is a fun piece! 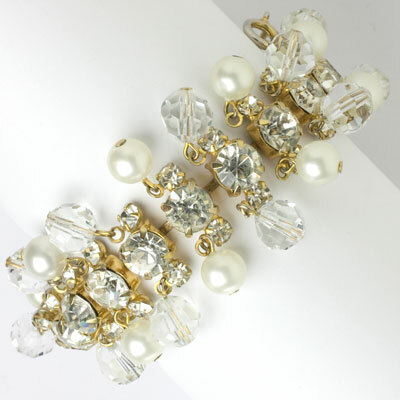 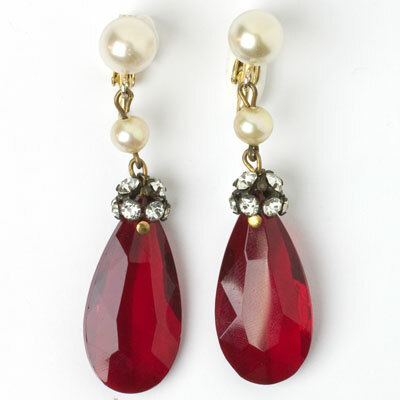 The faceted crystals and faux pearls dangle from the center structure of three rows of diamante set in gold-tone metal. 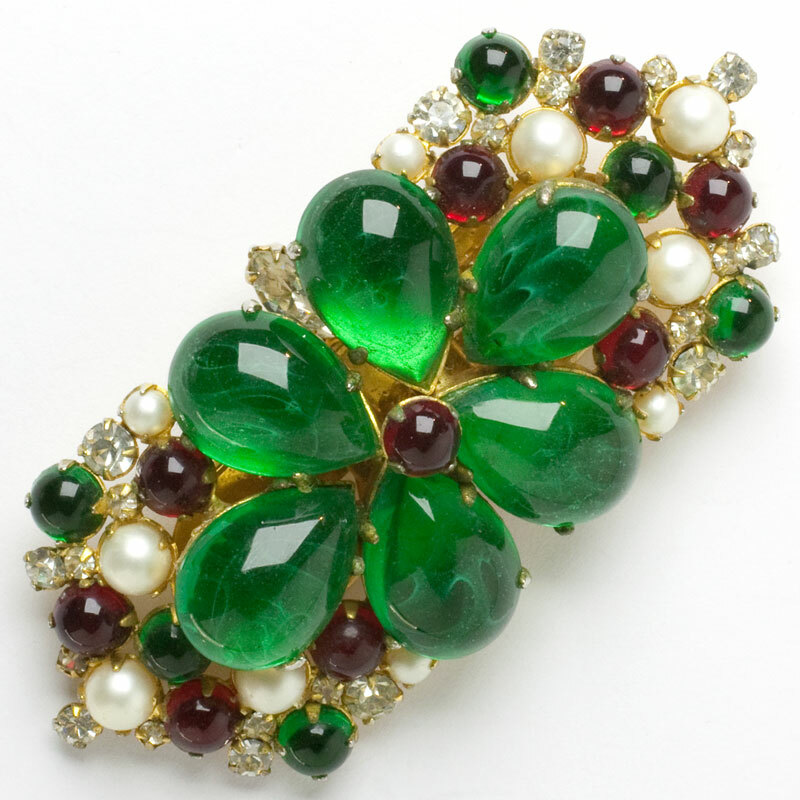 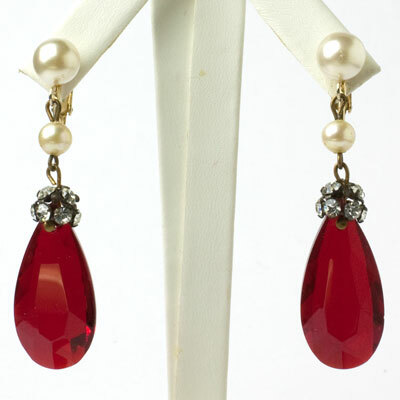 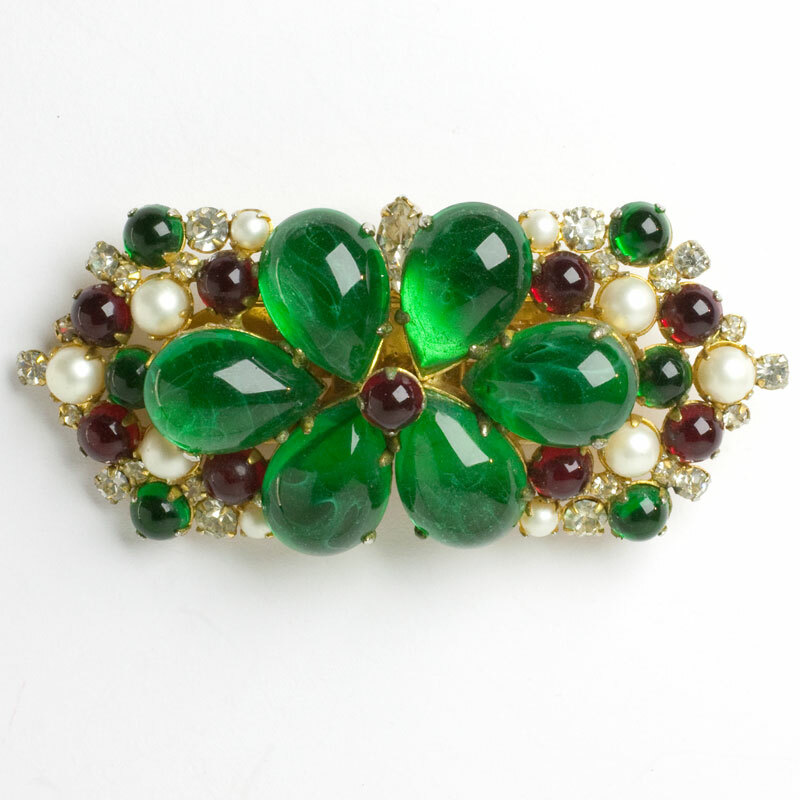 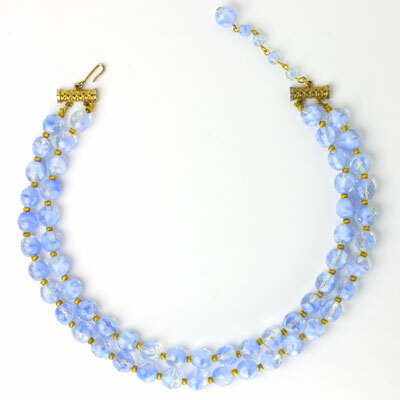 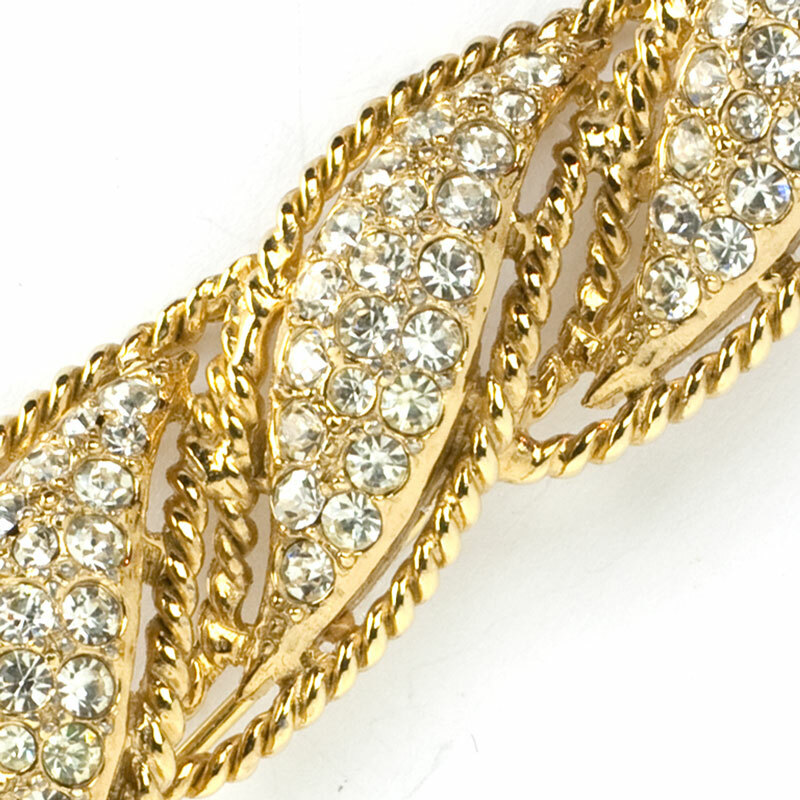 This 1950s jewel closes with a concealed clasp and safety chain. 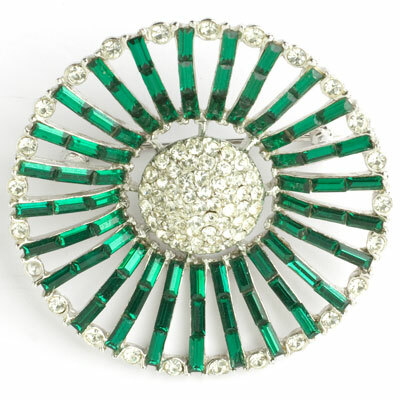 Another delightful confection with lots of movement and sparkle from Hattie Carnegie. 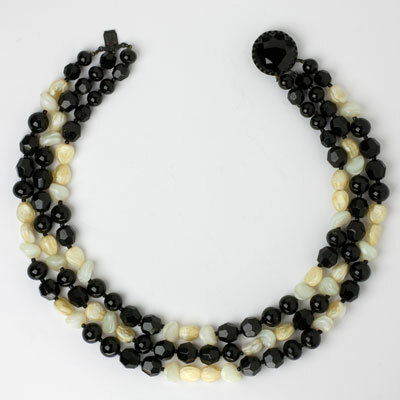 Scroll down to see one of her necklaces that looks great with this piece. 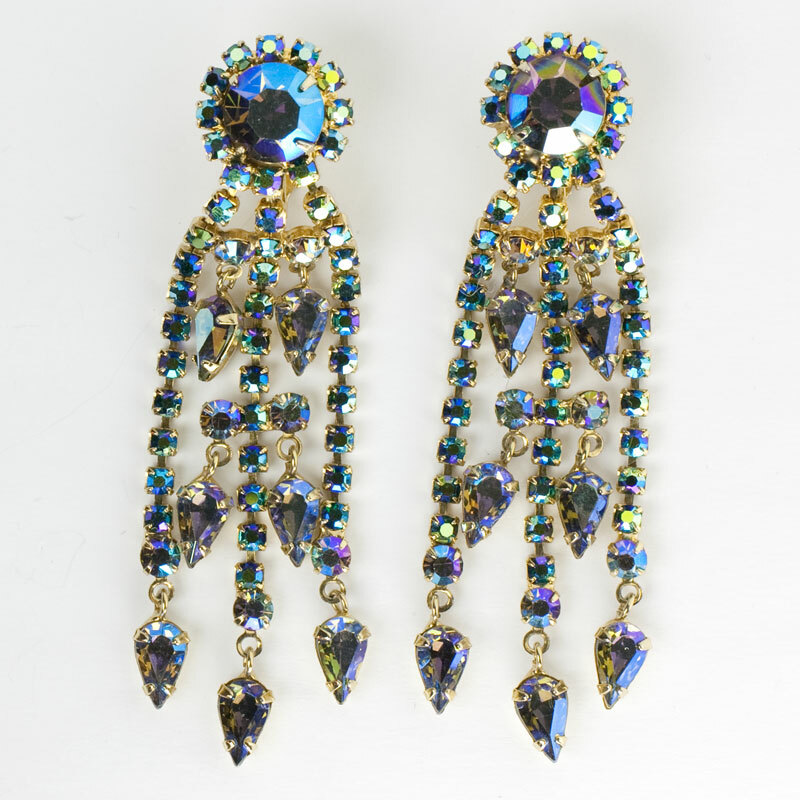 These Hattie Carnegie earrings feature a cluster of sapphire-, onyx-, and chartreuse-glass beads. 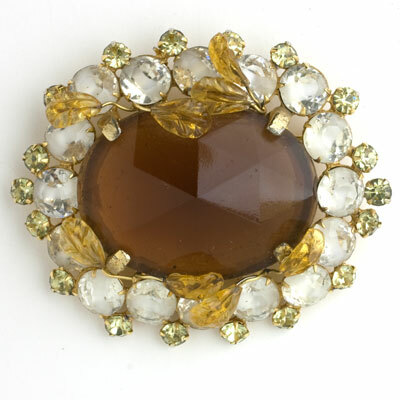 A prong-set, faceted citrine-glass stone surrounded by tiny onyx beads complete the design. 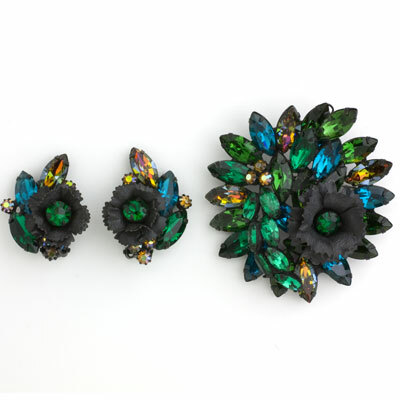 Except for the black beads, all are coated with aurora borealis, which adds iridescence. 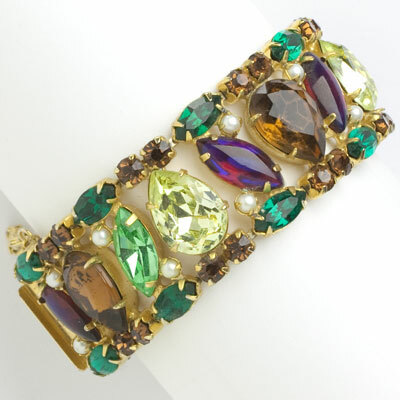 This vibrant and unique late-1950s color combination is set in gold-tone metal. 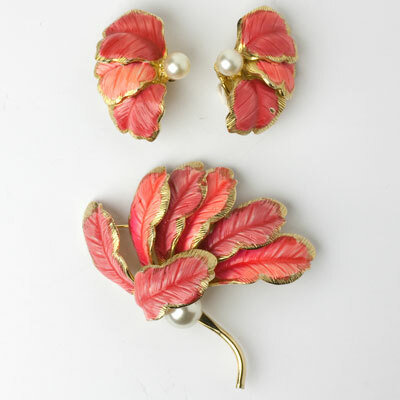 These colorful ear clips are a versatile addition to any jewelry wardrobe. 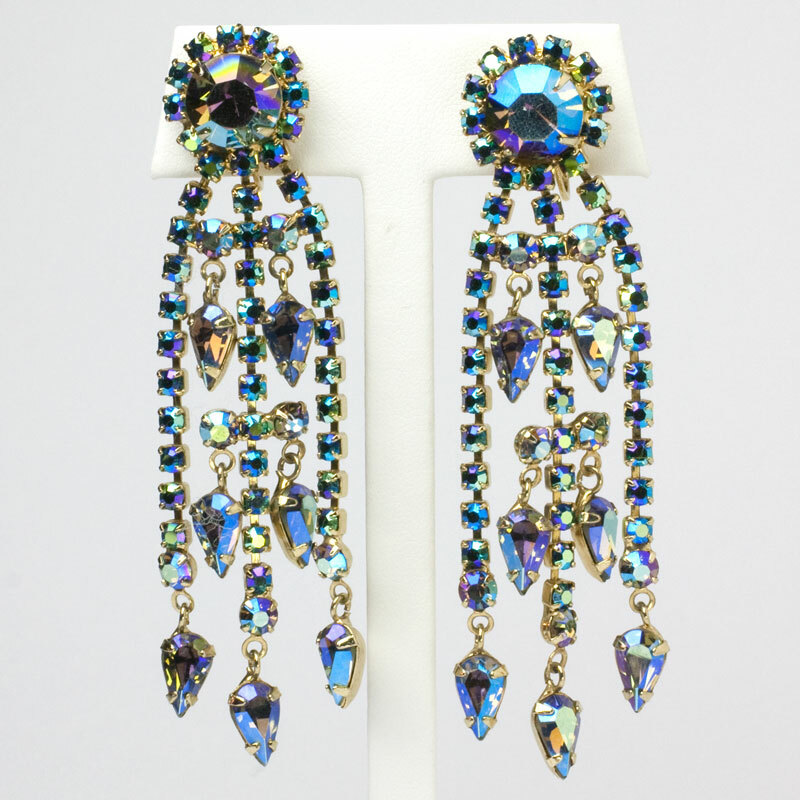 They remind me of colors worn in the early episodes of Mad Men.